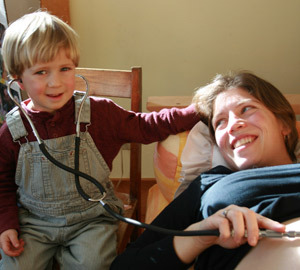 We have an initial meeting in which we can discuss what home birth care is and answer any questions you may have. Appointments generally last over an hour allowing us plenty of time to not only focus on the pregnancy but get to know each other. We offer in office lab work for basic lab test. If further screening or testing is desired or necessary, we can refer clients to a health care provider in their area. We have flexible hours for scheduling appointments. We have attended many water births and feel very comfortable with waterbirth for those women interested in this option. We have several portable waterbirth tubs available for use. 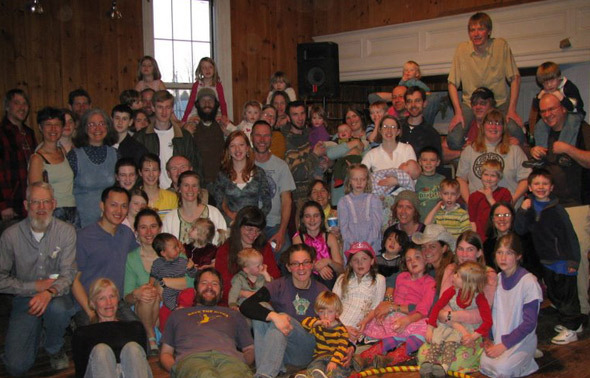 Our long time connection to the community from healthcare providers to organic farming to parenting support to sustainable living is extensive and useful for new families, expanding families and people new to the area. We enjoy helping people gather the information and support they need to create the families they want. We view each woman as a unique individual whether it is her first baby or her third. This view ensures each woman receives individualized care from us suited to her needs at the time of her pregnancy, birth and postpartum period. We love to stay in touch with our families. We have an annual party where clients and friends gather to celebrate the growth of their families, their gardens and other events of their lives in the past year.